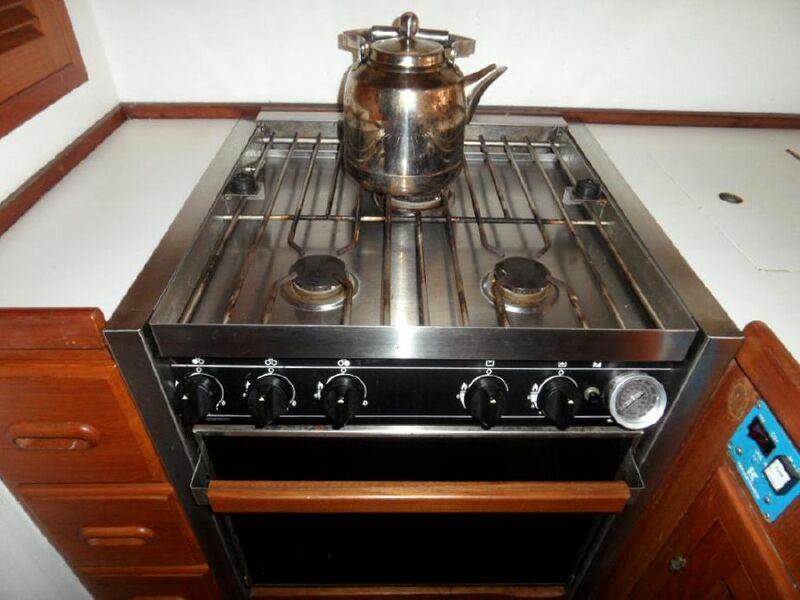 Propane Princess or Seaward, propane oven with 3 or 4 burner cook top, non-gimbal mount. I live way to far from you & these are heavy so shipping would cost a couple hundred. You should also consider the "Force 10 propane stoves / Oven combo" as they work well. I have a used one, but the Piezo part does not work. So you need to use a match or BBQ lighting stick. I am on left coast, so shipping would be to much anyway, but just mentioning to you to consider this other brand as well. "I have a used one, but the Piezo part does not work. So you need to use a match or BBQ lighting stick." I believe if you reach up under the unit you will find a battery for the piezo. Not me & not related to him, but I shop there first, when I need something. "Mikes Marine Consignment" who ships nation wide, has a couple stoves of what it looks like your looking for. Special Announcement From Mike's Consignment! We wanted to let you know that we have recently taken in over $50,000 in new consignment inventory. We welcome you to come check out all the new product in stock! Copyright © 2019 Mikes Consignment Marine Supply, All rights reserved.